If there’s one thing you cannot take away from the Audi R8, it’s the car’s looks. The R8 is a work of art, and if you read my “about me” page, you know I have a passion for cars. The sleek lines, bold colour and glass covers for the engine bay are but some of the aesthetics the car possesses. You will be mistaken to think that this stops on the outside; the R8 is a performance beast. In fact, it won the 2016 world performance car award. The R8 was made for the thrill of speed. Armed with a 5.2-liter V10 engine the car generates up to 610 hp. Purists will be delighted to know that the R8’s engine is naturally aspirated. With all that power under the hood, it was only right that Audi should fit state-of-the-art gadgetry, without cluttering the dash. The Audi R8 has Google Earth for navigation, and a Bang and Olufsen sound system for entertainment. The Audi R8 is offered in two options. The first is the v10 option where power is capped at 540 hp while the second is the V10 Plus option with a 610 hp engine. 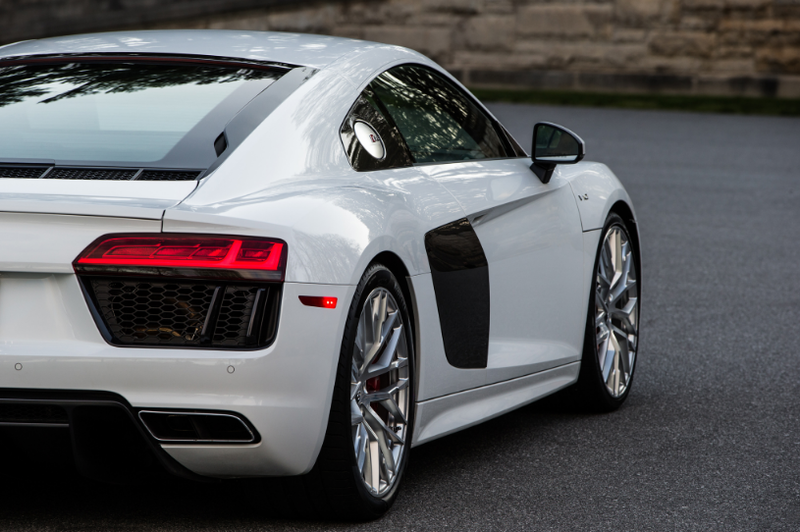 Prices start at $162,900 for the V10 option, making this one of the most affordable supercars in the world.